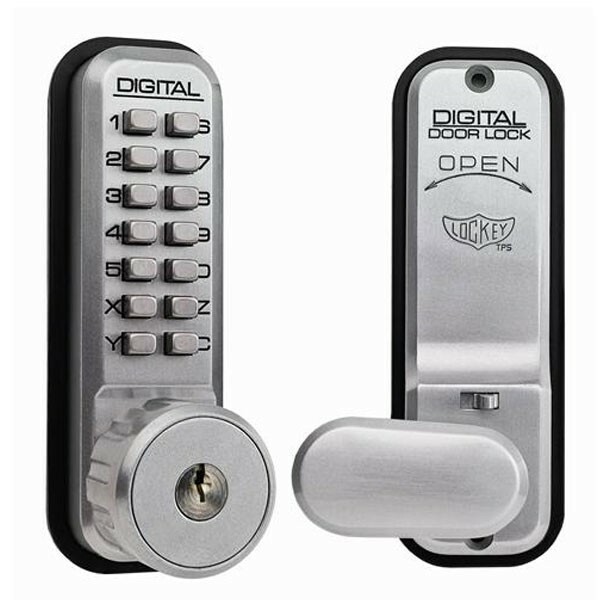 The Lockey Digital 2435K offers a range of different functions based on our original Lockey Digital door lock design. With up 2000+ possible code options and 4-6 digits, the Lockey Digital 2435K can be used on rebated doors with the corresponding rebate. Suitable for internal and external use. Easy to change from right to left hand opening. Code can be change by authorised person. Teflon coated parts to enhance operation and delay natural wear and tear. Knobs have slipping clutch to prevent damage if forced. Supplied complete with all necessary parts for installation.